Just Added Lot's more Ponies, including Mail Order Sparkle Ponies, UK 7 tales Clover & Mountain Boy Sunburst! I am out of town, but hey still selling with projected shipping on the 6th or 7th of September. Need a little time, now is the perfect time to buy as I am holding items till I get back from Vacation and just ask for payment to be made by Sept 5th for shipping after that date. I might just be PMing you as soon as Paypal confirms my account! Thank you SourdoughStomper for Irish flag Starshine! I am heading out the Door. I will have internet and will answer as I can, but I am on a Working Holiday at the property. I have my dates posted in the left under my Avatar. for shipping when I get home. If you wait until I return without putting an Item on HOLD (shipping info required for that) it may not be there when I return. 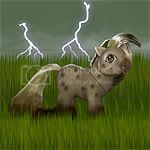 Buying for a SWAP get a $1.00 per pony discount.